This page is optimalized neither for any browser nor for any resolution. I recommend Links, Opera, Galeon, FireBird or Konqueror. There was in the beginning... But what's forth? Sorry for long pauses, but it'll be hardly better. 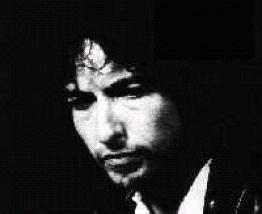 10th Dylan Days will be in the Fillmore Middle at Dankovice on the 21st - 23rd of May this year. Come to The Last Waltz (details will be following). Dylan were at Prague on 23rd of October in T-Mobile Arena. There was a great concert, the setlist is here, reviews in czech press on czech site. List of Czech coverversions is on now. Bobliography - project for mapping of Dylan footsteps i Czech coutries and papers. Initiative page is here. Appeal!!! Who knows most crazy dylan cover on Czech? Send your tips to tomas.lavicky@worldonline.cz please.